1. Flip one cookie over and take a small scoop of ice cream and place it on top of the upside down cookie (you might need to use your fingers to mold the ice cream and place it neatly on top of the cookie). 2. 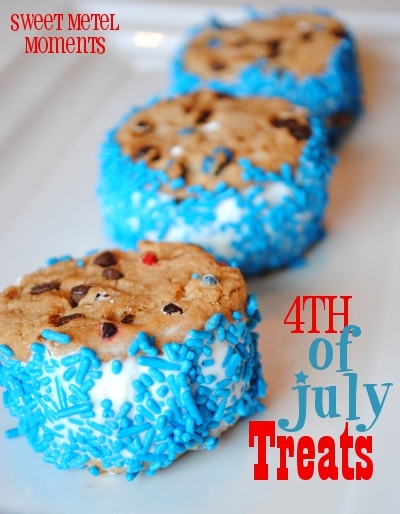 Take a 2nd cookie and place it on top of the ice cream, making a sandwich. Squeeze it slightly so the ice cream slowly fills up the inside and reaches the edges of each cookie. If needed, use a butter knife to smooth out the edges. 3. 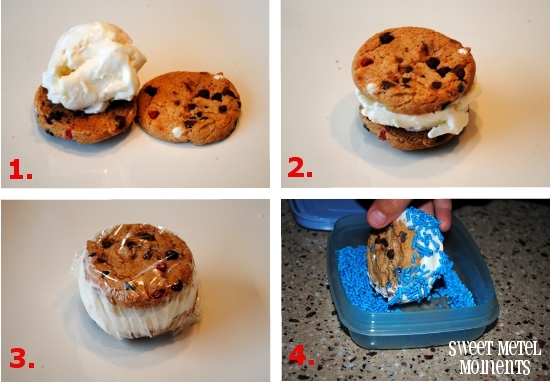 Take saran wrap and wrap the ice cream cookie sandwich tightly so that the cookies and ice cream can stick together nicely. (Don't make it too tight that you squeeze the ice cream out of the edges!) Stick it in the freezer for a little bit to let the ice cream harden a little and mold to the cookies. 4. 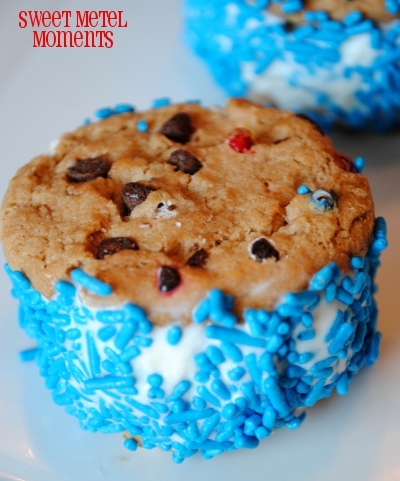 Once the ice cream cookie sandwich is molded together, take it out of the freezer to decorate with sprinkles. (I left my cookie sandwiches in the freezer overnight and the ice cream was way too hard so I left it out on the counter for a few seconds to soften to make sure sprinkles can stick onto it.) Roll into a bowl of sprinkles until the ice cream is nicely covered. 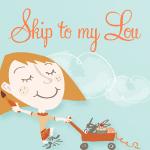 I'm so very glad that I found your blog! I have two little ones at home too! These look absolutely delicious! You have a new follower in me for sure! I'm excited to look around your site some more! This will be great dessert idea for the coming summer! Thanks for this Iris :) Love looking at your old posts, too! Thanks Nicole for visiting my blog! Your comments always make me smile!